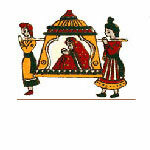 For centuries, arranged marriages have been the tradition in Indian society. Even today, the vast majority of Indians have their marriages planned by their parents and other respected family-members, with the consent of the bride and groom. They also demand dowry, which has been outlawed by the Indian government, but Indian society and culture still promotes and maintains it. 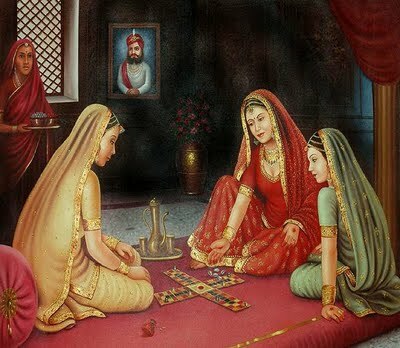 They get around by not letting the authorities know the arrangements of money.Arranged matches are made after taking into account factors such as age, height, personal values and tastes, the backgrounds of their families (wealth, social standing), their castes and the astrological compatibility of the couples' horoscopes. India, being a multi-cultural and multi-religious society, celebrates holidays and festivals of various religions. The three national holidays in India, the Independence Day, the Republic Day and the Gandhi Jayanti, are celebrated with zeal and enthusiasm across India. In addition, many states and regions have local festivals depending on prevalent religious and linguistic demographics. Popular religious festivals include the Hindu festivals of Navratri, Diwali, Ganesh Chaturthi, Durga puja, Holi, Rakshabandhan and Dussehra. 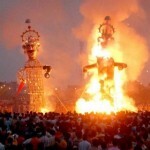 Several harvest festivals, such as Sankranthi, Pongal and Onam,"Nuakhai" are also fairly popular. Traditional clothing in India greatly varies across different parts of the country and is influenced immensely by local culture, geography and climate. Popular styles of dress include draped garments such as sari for women and dhoti or lungi for men; in addition, stitched clothes such as salwar kameez for women and kurta-pyjama and European-style trousers and shirts for men, are also popular. 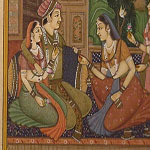 In India, a person's social status is perceived to be symbolized by his or her attire. Indian dress etiquette discourages exposure of skin and wearing transparent or tight clothes.Most Indian clothes are made from cotton which is ideal for the region's hot weather. Indian dance too has diverse folk and classical forms. Among the well-known folk dances are the bhangra of the Punjab, the bihu of Assam, the chhau of Jharkhand and Orissa, the ghoomar of Rajasthan, the dandiya and garba of Gujarat, the Yakshagana of Karnataka and lavani of Maharashtra and Dekhnni of Goa. Eight dance forms, many with narrative forms and mythological elements, have been accorded classical dance status by India's National Academy of Music, Dance, and Drama. These are: bharatanatyam of the state of Tamil Nadu, kathak of Uttar Pradesh, kathakali and mohiniattam of Kerala, kuchipudi of Andhra Pradesh, manipuri of Manipur, odissi of the state of Odisha and the sattriya of Assam. 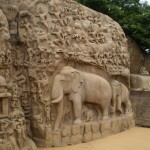 The first sculptures in India date back to the Indus Valley civilization, where stone and bronze figures have been discovered. Later, as Hinduism, Buddhism, and Jainism developed further, India produced some extremely intricate bronzes as well as temple carvings. Some huge shrines, such as the one at Ellora were not constructed by using blocks but carved out of solid rock. Sculptures produced in the northwest, in stucco, schist, or clay, display a very strong blend of Indian and Classical Hellenistic or possibly even Greco-Roman influence. The pink sandstone sculptures of Mathura evolved almost simultaneously.